We could frame a house with the boxes of headphones we receive (or are pitched) to review on Vagabondish. But, precious few of them are actually worth a second look. 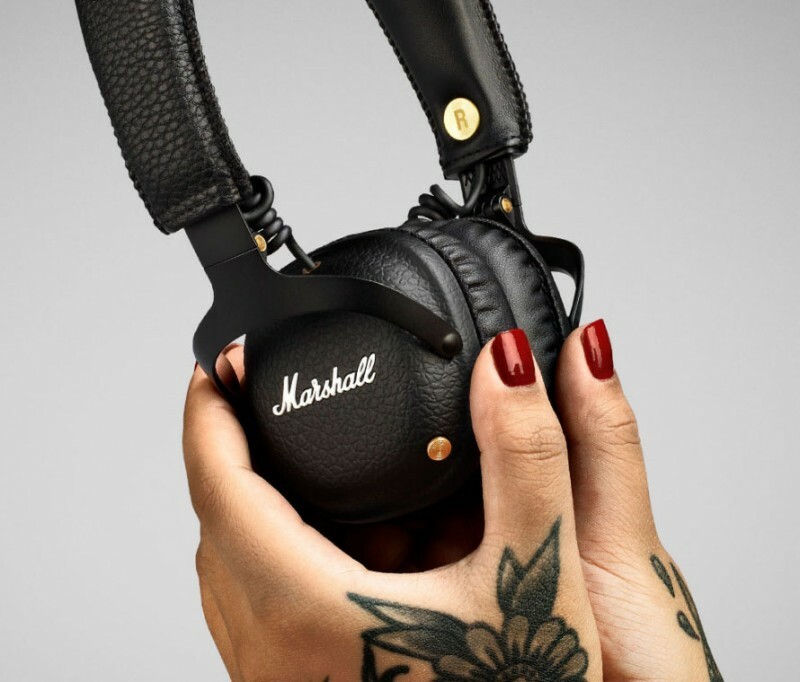 Marshall has made a serious name for itself among the best headphone manufacturers in the world, particularly for musicians. Their foray into the “everyday user” space continues with the Mid Bluetooth Black. They were kind enough to send us a pair to check out. … premium Bluetooth® aptX headphone that delivers superior audio and 30+ hours of playtime on a single charge. Its custom 40mm dynamic drivers lend it a robust sound that balances clarity with just the right amount of bass – perfect for those who demand the best in sound. The on-ear design features a plush headband and 3D hinges that produce an ergonomic fit. Complete with black vinyl, solid metal hinges and brass details mid is the embodiment of Marshall in a headphone. Straight up: I travel almost exclusively with in-ear buds. Compared to traditional over-ear or on-ear headphones, they’re lighter, more compact, less expensive, and do the trick for 90% of the listening I personally do (which is typically podcasts and audio books). But lately, I’ve been keenly interested in the Bluetooth headphones on the market. In large part because the audio quality is better and also because manufacturers like Marshall have finally been able to provide serious battery life for long-haul flights. I admit the Mid Bluetooth headphones may have turned me. First off, the 30-plus hour battery life is insane. That figure is, by far, the best and longest of any Bluetooth headphones we’ve seen on the market. What’s more: the Mid Bluetooth use the latest aptX technology which virtually eliminates video/audio sync issues. This is a huge boon for travelers looking to watch movies on a flight without the dreadful (1970s-era Japanese kung fu movie-like) lip sync issue while watching movies. The design is pretty sweet too. The black vinyl, script Marshall logo, and brass detailing all give the Mid Bluetooth Black headphones a vintage swagger that I really dig. The 3D hinges not only look good, however, they also help to provide a better fit. Plus, the entire form factor collapses down via those same hinges to a compact and entirely packable size. Rockstar design aside, there’s plenty of modern tech built into and on the outside of the Mid Bluetooth headphones as well. A multidirectional control knob provides one-stop play, pause, shuffle, and volume adjustment functionality. It also allows you to easily power the headphones on and off. Phone functionality — the ability to answer, reject, and end calls — is accessible through the knob as well. A secondary 3.5mm socket allows you to share audio with a travel buddy (or make a new one en route). Available now in any color you like (as long as it’s black) for around $199 (USD) directly from Marshall. 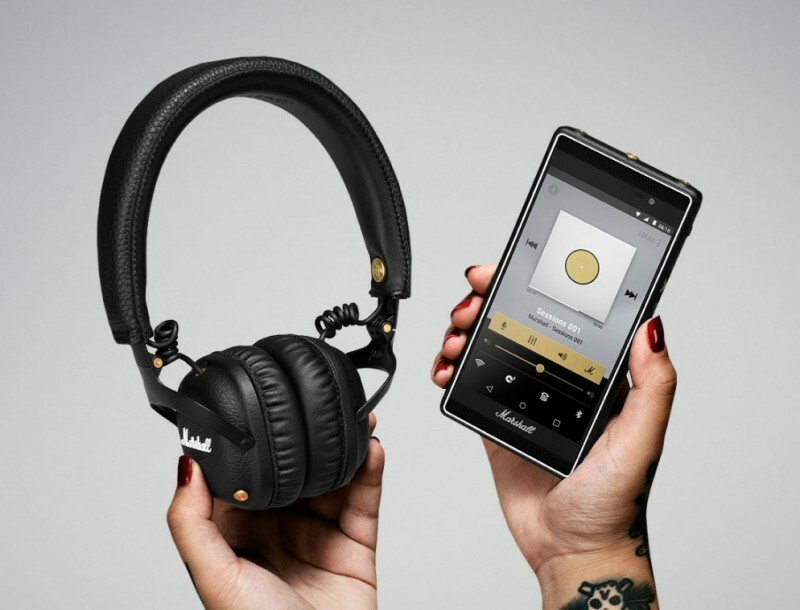 Disclosure: Vagabondish received a complimentary pair of Marshall Mid Bluetooth headphones in advance of this post. Read our view on sponsored content.